Fans going to a college baseball game may notice a change in the style of the game, but may have a hard time finding what’s different. Starting in the 2015 season, the NCAA is using flat seamed baseballs, which are similar to the balls used in professional baseball. While that may not seem like a major change, both pitchers and position players have noted that the ball feels different and will travel further off the bat. That’s not just a mind-trick, either; there’s science to back up their claim. According to a study done at Washington State University, the flat-seamed baseballs should travel an average of 20 feet farther than the raised seam balls of before. A separate study conducted by Rawlings duplicated the results. 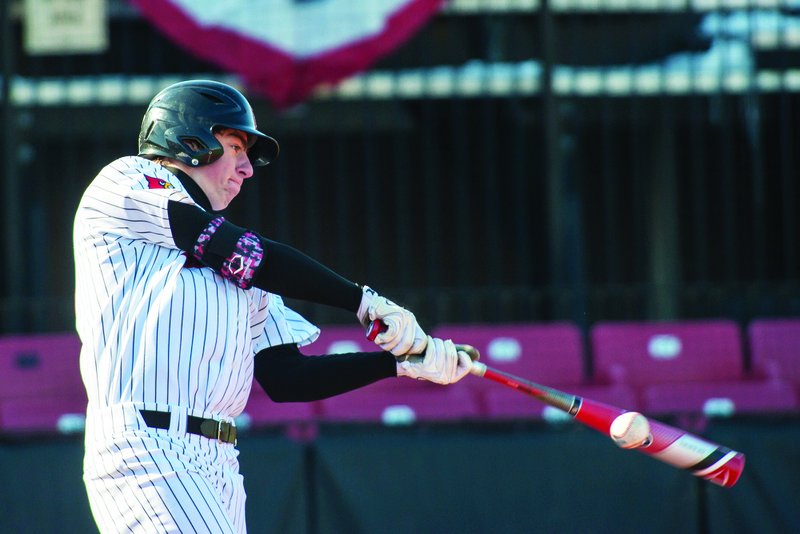 The new balls should reverse a trend of declining offense since 2011, when the NCAA instituted new standards for bats. That change was to increase player safety by reducing the velocity of the ball coming off the bats. With the new balls, the NCAA hopes to raise offensive numbers while still protecting pitchers and other position players. “In 2010, we had 88 home runs and when the bats changed we dropped into the low thirties and into the twenties. I don’t think college baseball thinks we’re going to get back into the eighties and nineties but we could get into the fifties and sixties,” McDonnell said. The balls won’t just change the game offensively. Pitching and defense will also be affected by the new baseballs. “Taking ground balls with them, it comes at you a lot faster. There’s also not as big as hops, it stays down. I think you’ll see a lot more infield hits getting through,” shortstop Sutton Whiting said. With the new balls, offensive strategies will likely be changed to reflect the increased power numbers. It also will allow teams to still feel like they are in the game, despite a big deficit in later innings. “I think as coaches, when you’re down by three runs, you don’t want to feel like you’re out of the game,” McDonnell said.